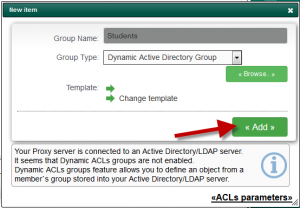 Home » Access Control lists » Acls Examples » How to block internet with a group from Active Directory? 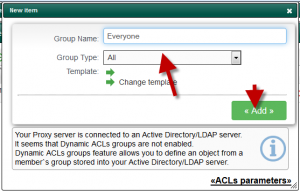 How to block internet with a group from Active Directory? 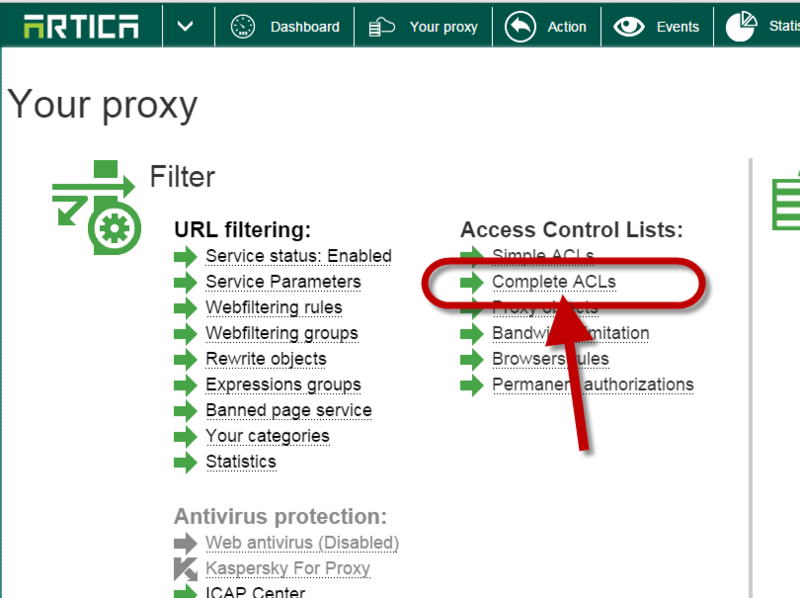 Under Your proxy section, choose Complete ACLs link. 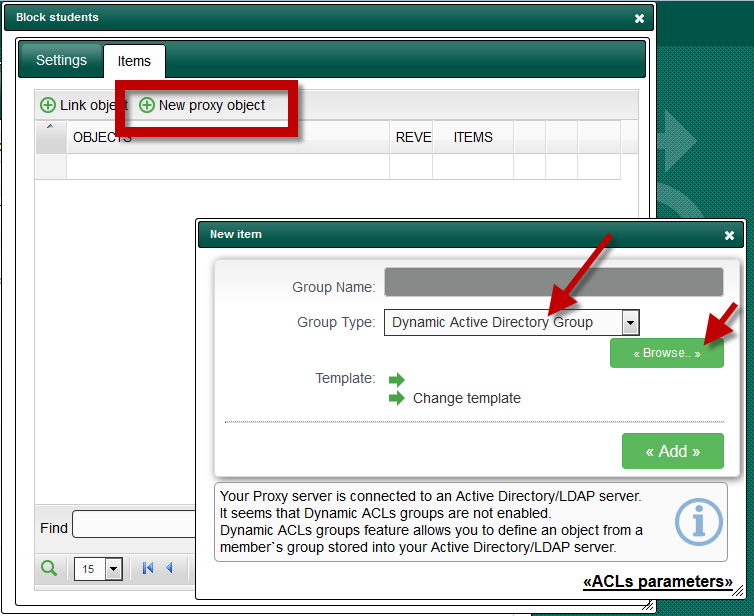 In the drop-down list, choose Dynamic Active Directory Group. Browse Your Active Directory and choose your desired group. 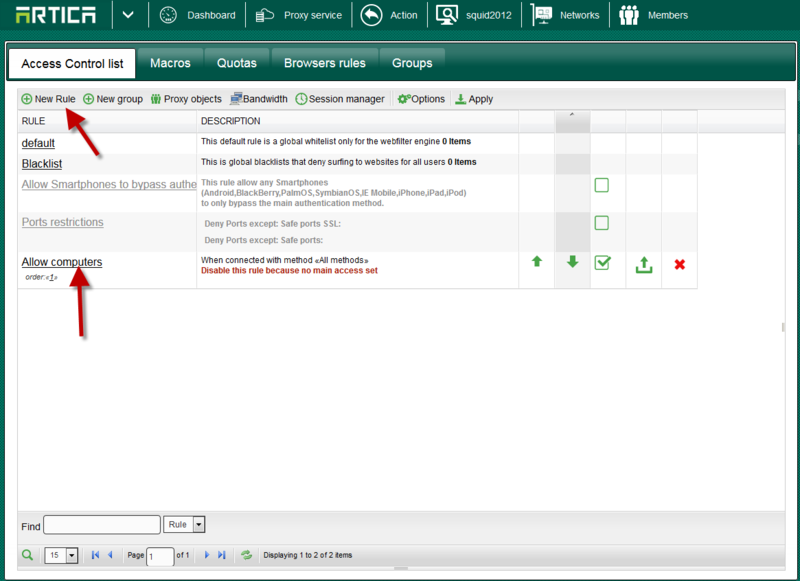 Click on Select this group on the table. Click on Add button in order to add this group in your rule. 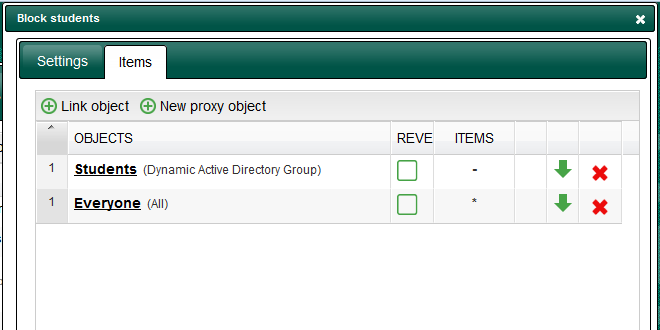 Click again on New Proxy object. 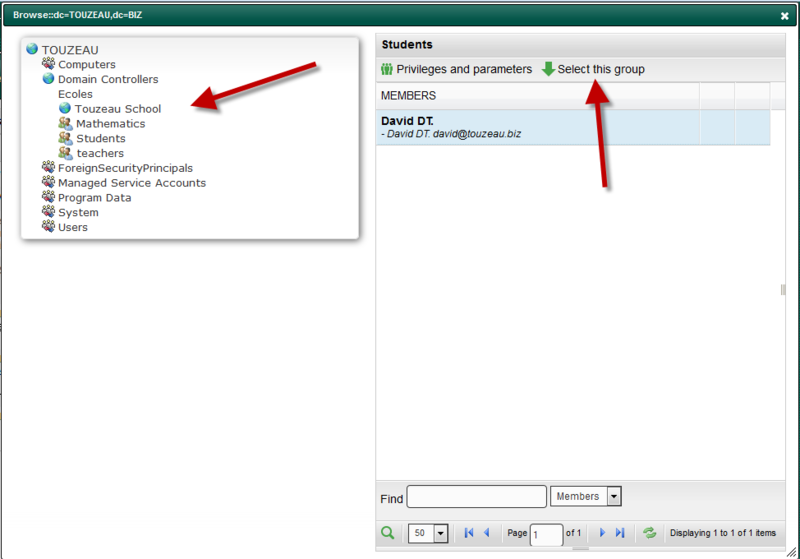 In the dropdown list, choose all and name your group. 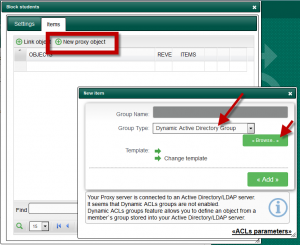 These 2 groups means that proxy deny the selected group and “nothing else” that’s why the group All must be added. 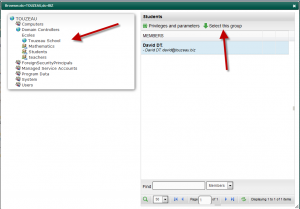 Without this second group, deny users will receive a login popup. 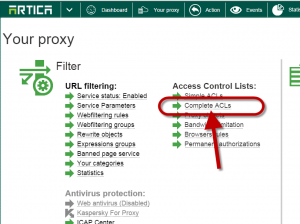 ← How to block advertising ?